ClenZation is a unique 2 week program to cleanse and detoxify the body from both normal byproducts of metabolic functions and the constant stresses we are subjected to by lifestyle and the environment. Days 1-6. 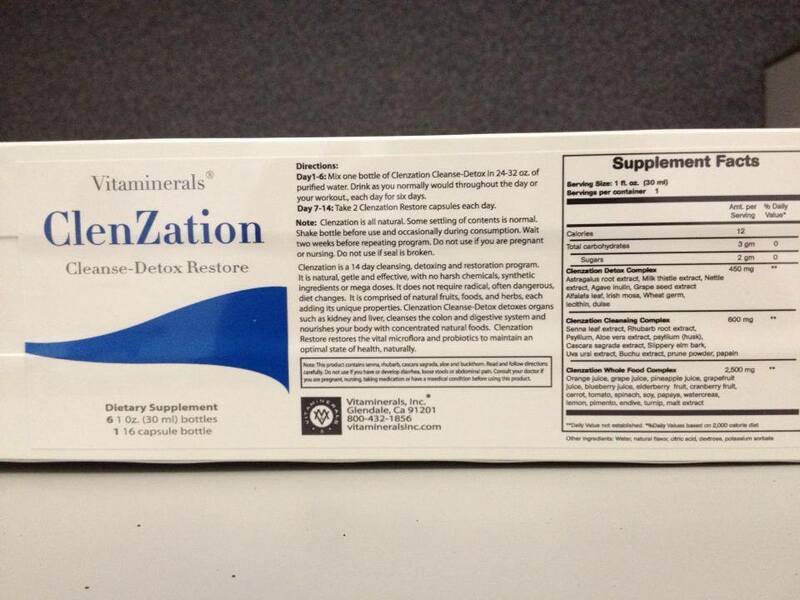 Add one bottle of ClenZation Detox liquid to one liter of purified drinking water. Then drink as you normally would throughout the day or your workout. is restored after the cleansing. 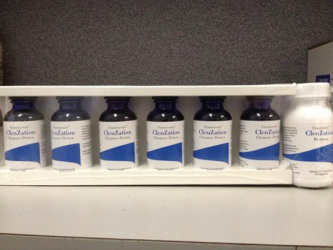 ClenZation is simple, easy, convenient and pleasant to take. It is gentle, using natural herbs and nutrients. It fits in easily to your normal schedule and will not disrupt your lifestyle. Why is Clenzation superior to other programs ? 2. ClenZation is used in conjunction with pure water to aid in flushing toxins. over a six day period. insure that the benefits of the program are long lasting. Stress, pollution, and lack of proper nutrition creates acidity in the body. Acidity will create an environment for disease and the inability for the body to heal. Alkaline your body with pure organic foods that are easy to make and taste great.